Barcelona is making a big effort to bring both Eric Bailly and Marcus Rashford to the club according to The Daily Star. Barcelona is going great in the La Liga at the moment, but manager Ernesto Valverde is keen on bringing the pair to bolster the squad. The interest is high enough that Valverde sent two scouts to watch the Manchester United game against Chelsea. If the scouts see what they like, Barcelona will make a concrete offer soon. The one sticking point could be Marcus Rashford. Under Louis Van Gaal, Rashford made stunning rise to the first team and is a Manchester United player through-and-through. Real Madrid and Barcelona have shown interest before, but Rashford was not interested in leaving Old Trafford. However, Jose Mourinho’s rotation of Rashford with Anthony Martial might signal an opening. Rashford is not pleased with the rotation and might consider a move to Spain. 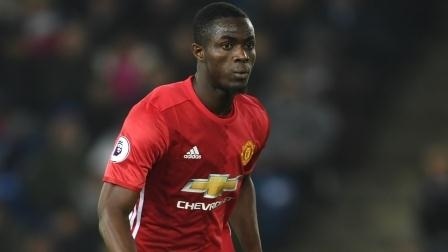 It is possible that Barcelona might make a play for at least Eric Bailly as there is a pressing need for his services. Blaugrana only has the aging pair of Javier Mascherano and Thomas Vermaelen as a backup. Barcelona’s 200 million Euro offer might not interest Manchester United so much unless one or both players want to move. At the very least Mourinho may let one of them go, but it is hard to see him letting Bailly go as he is integral to some of Mourinho’s plans. Unlike other clubs, United don’t need the money, so the incentive to change won’t come for financial reasons.